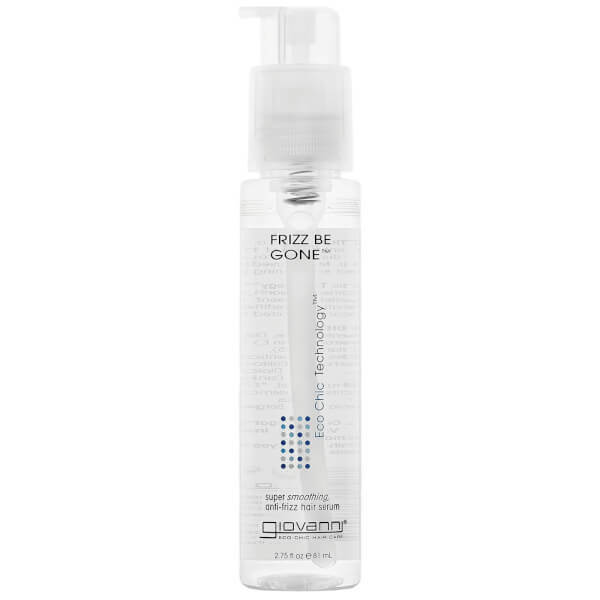 Treat your hair to the smoothing benefits of Giovanni's Frizz Be Gone Hair Smoother, an anti-frizz serum that works to control flyaways and enhance shine. Utilising Pure Organic Technology™, the formula expertly seals and smoothens hair to fight frizz, and locks in colour for long-lasting vibrancy. 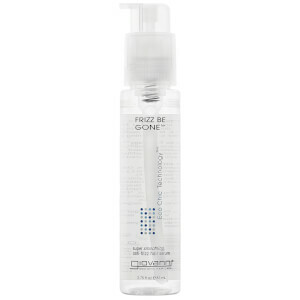 Its moisturising properties infuse hair with conditioners to detangle, prevent breakage and improve elasticity. Hair is protected against heat styling and humidity. Cyclomethicone, Soybean (Glycine Soja) Protein, Dimethicone, Tocopherol (Natural Vitamin E), Panthenol (Vitamin B5), Rosmarinus Officinalis (Rosemary) Extract, Nettle (Urtica Dioica) Oil, Thyme (Thymus Vulgaris) Oil, Octylmethoxycinnamate.